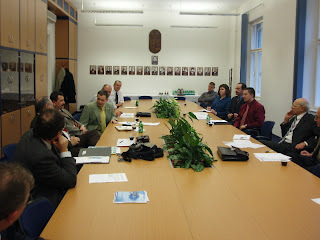 Discussion room of the Hungarian Met Service, venue of the meeting. A summary will be given asap. Photos on the participants and presented slides of the Agenda and Proposed Action Plan can be found at www.hunagi.hu ....Photo collection.... Events in 2007..